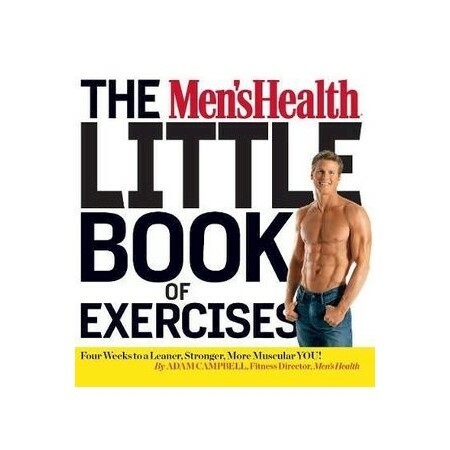 The Men's Health Little Book of Exercises : Four Weeks to a Leaner, Stronger, More Muscular You! The Men's Health Little Book of Exercises is a handy instruction manual to more than 250 of the best exercises and workouts for torching fat and losing weight, shredding abs, and sculpting massive biceps, pecs, delts, glutes and more! With detailed step-by-step photos, the book will instruct you how to execute each move with perfect form to challenge every muscle fibre for better, faster results. Dozens of new workout routines like 20-Second Sizzlers and Triple-Set Torchers! Plus: A workout and food log, hundreds of muscle tips and hints and the exclusive Spartacus Workout!